It doesn’t take a rocket scientist to realize MANY in our congregations have a mobile device with thousands of apps. In fact, if your service dims the lights during the service, you can see the glow of screens across the room. This past week, our screens showed an establishment video shot looking on the main floor crowd from the balcony. It was during the offering, and you could see dozens of people with a glowing screen. If only they were all using their device to give money. We love our apps. And I’m sure someone is suggesting your church should have one. Yes, if you could actually get people to download and use them properly, they’d be a great idea. But most churches can’t. And many realize that adding content to them is just as difficult as it is for a website. Now they have two tools to keep up with! Think it over well before making a decision to pay for an app. And certainly don’t fall for these 3 reasons. We hear them regularly, and I cringe. Your website is currently not working well. A good, responsive, website can do almost everything a church needs; so an app is overkill. But many churches think, “our website is awful, it’s too much work to fix, so an app will fix everything”. The problem? Many more people will regularly refer to your URL than an app. 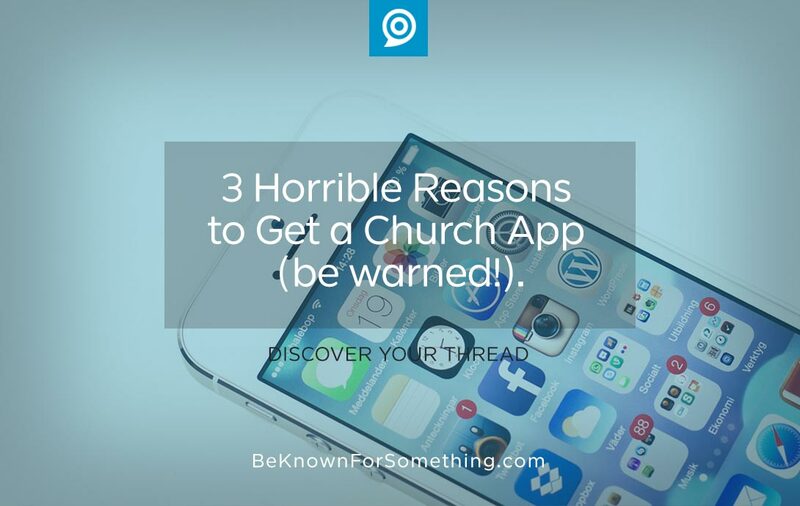 And usually if a church can’t keep up their website properly, they will not keep up an app. Within months, they’ll have two struggling communication tools. Solution? Invest and fix your website. Then people will browse to your website with their mobile device and love the content! Your Pastor knows another church with one. We often discover (usually from a skeptical person on staff) that the Pastor has a ministry friend that’s bragging about an app. This app-envy bubbles over, and they want one so they can feel like they’re using the cool new tools. Problem? Your church is not like the other church. And rarely does someone brag about all the issues that come with an app (that I mentioned above). Everyone does NOT need an app. Solution? Fix your website, establish a communication strategy, and let your Pastor read this article. You want to reach your community better. Most churches wonder why their website doesn’t get thousands of clicks from their community. So they think an app will solve this. Problem? Your community isn’t paying attention to your website because they’re not very interested in church things. And your content is, well, churchy! These people certainly won’t download an app (this is more difficult than going to a website) for a church. Apps are mainly for internal communications (congregation). Solution? Discover your communication thread that’ll reconnect you to your community. It’ll be a temporal (non-spiritual) solution for their perceived need. Then weave the thread through your website so they’ll discover you care about them. Supply information that they can use without attending your church; then share the direct link on social media and in ads. We love apps. But we only use a handful regularly. The rest drift into the background of forgetfulness. 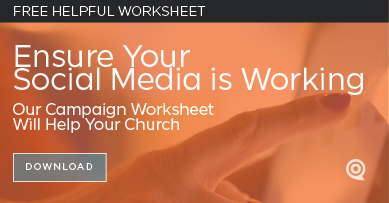 Don’t fall for the allure of getting an app without weighing the total cost for your church.